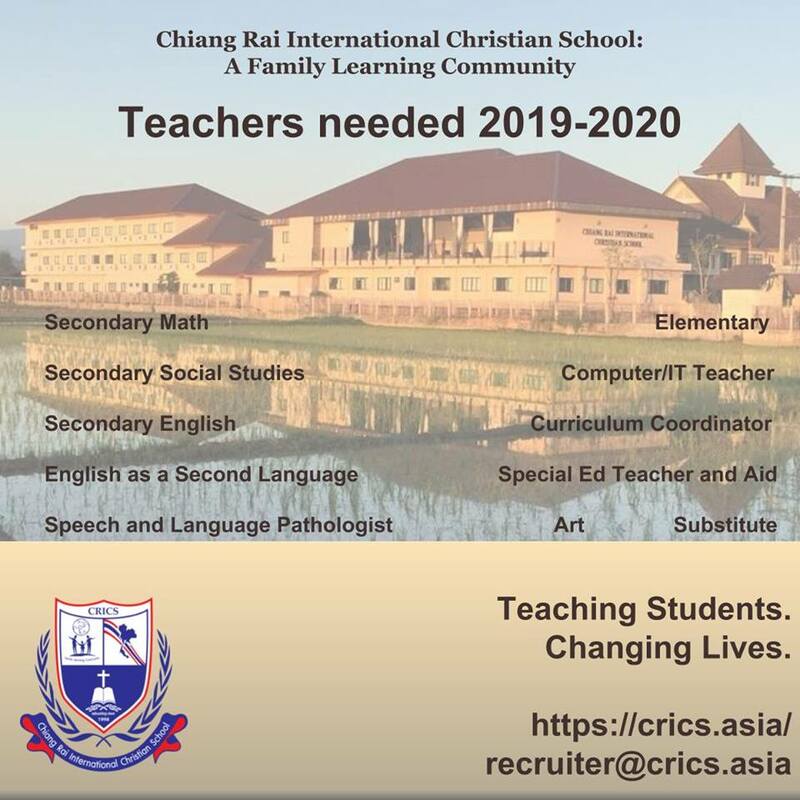 The Chiang Rai International Christian School (CRICS) is looking for teachers to fill a variety of needs in 2019-2020. The school serves expats, like the children of UB missionaries Brian and Rachel Glunt, as well as Thai students. Hannah Barrett, a UB Global Jump Start staff member and Huntington University graduate, is currently teaching elementary education at CRICS.